IT IS CATCH UP TIME IN THE TURKCELL SUPER LEAGUE! The team who plays home games in Adana, Kayserispor stopped , Sivasspor for a nil nil a tie match . On the other hand, Trabzonspor in away match won their match and catch up Sivasspor, on top again. They now share the leagues top spot with 38 points. The important moment of the match between Kayserispor and Sivasspor came in the 89nth minute when both Furkan Ozcal of the home side and Fabio Bilica of the guests were sent off. Trabzonspor scored against Ankaraspor,in the ninth minute of the match, with Gokhan Unal . The second and final goal came from Umut Bulut on 74 minutes. As such, Trabzonspor are back in shared first place as both they and Sivasspor have 38 points from 18 matches. Galatasaray beat Denizlispor 0-2 with goals from Milan Baros and Shabani Nonda and remain at two points behind of Trabzonspor and Sivaspor. On Sunday., it could well be catch up time for Besiktas and Fenerbahce too. If Fenerbahce wins on Sunday against Gaziantepspor at home they could catch up Galatasaray and be only two points away from the top spot. But, Gaziantespor is no easy roller team. During the winter transfer season they got quality of players signed. the Brazilian famous player Julio Cesar Santos Carrea will play against his former team player Roberto Carlos in this match. I am going too get up early in the United Stated and watch this match. Also, Besiktas with a win against Antalyaspor the team they beat in the Fortis Turkish Cup, could move on top of Ankaraspor and move to fifth place with 34 points and only four points behind the leader of the league. Ankaragucu, the who will host Konyaspor at home could well pass Konyaspor in the standings if they win the match. earlier in the week and could well do a damage to Konyaspor in this match. With this transfer Konyaspor has gain big confidence on the defense in my opinion. So, the week 18nth, in the Turkish Turkcell Super league will be remembered as a catching up week, in my opinion. We know, Besiktas looks like allready got a ticket to Semi-Final in the Fortis Turkish CUp after beating Antalysspor in away match in Antalya with two clear goals. It was the fourth win in four games for Besiktas since the start of this season. Remembering that his side will meet Antalya in the League this weekend, coach Mustafa Denizli said that he wanted his players to continue their streak. "I hope that this does not cause complacency," he said. On the other hand, Fenerbahce also won in the quarterfinals. A 43rd minute header by Deivid De Souza won the game for Fener, giving the Yellow Canaries an edge before next week’s return game against Bursaspor. "The final score is not a good result, but not bad at all, given that we still have hopes for the second game," said Bursaspor coach Ertuğrul Sağlam. "We have the power and quality to get the ticket to the semifinals in the return game in Bursa." On Tuesday, Turkish Giant galatasaray had a another bad spell against Sivasspor ,this time in the Fortis cup match. They almost loss the match again in their home turf, thanks to last minute goal by team captain Ayhan Akman,they drew Sivasspor at home with 1-1 score. Also on Tuesday, Denizlispor loss a big advantage after a tie against Ankaraspor 1-1. The cup’s second leg matches will be played on next Wednesday. GALATASARAY SAVED BY THE BELL AGAINST SIVASPOR AGAIN!.. After losing against Sivaspor in the league match ,Galatasaray almost loss again against Sivasspor in the Fortis Cup first leg match in Istanbul. The injury-time equaliser from Ayhan Akman prevented Galatasaray from suffering a second defeat in four days by a Sivasspor side who had took the lead in Istanbul on 74 minutes through Pini Balili. In the night's other tie, Denizlispor and Ankaraspor drew 1-1. There are two matches on Tuesday and two matches on Wednesday of this week. On Tuesday, Galatasaray will host Sivasspor at home in the late match and in the earlier match Denizlispor will be home against Ankaraspor in the first leg matches. On Wednesday , Antalyaspor will welcome Besiktas in Antalya and in the second and late match Fenerbahce will be at home against Bursaspor. Kocaelispor are the team that have the highest sequestration debt around 37.7 million TL, while Beşiktaş, Ankaraspor, İstanbul Büyükşehir Belediyespor, Gençlerbirliği, Hacettepe, Kayserispor and Sivasspor are the teams that do not have any debts. Galatasaray are the soccer club that have the highest debt among the first three biggest teams in Turkey. They follow Kocaelispor with 33.3 million TL. Fenerbahçe is 1.4 million TL, and Trabzonspor is 2.3 million TL indebted. Antalyaspor, Bursaspor, Denizlispor, Eskişehirspor, Gaziantepspor, Konyaspor and Ankaragücü are the other indebted teams in the super league. After Turkey was awarded a Fair-Play award by FIFA organization, Turkish football Federation and the main sponsor of the league Turkcell wireless company announced a new league called "TURKCELL FAIR-PLAY LEAGUE"
The teams who has less caution cards and other fines, will be rewarded in this league. At the end of the 2008-2009 season, who ever finishes first in the TURKCELL FAIR-PLAY LEAGUE" will win $500 grand, second place team will earn $ 300 grand and third place finisher will also earn $200 grand. As of, end of the 16th week, the "TURKCELL FAIR-PLAY LEAGUE" lead by Ankaraspor and Gaziantepspor with 47 points. Denizlispor on third place with 49 points. But, why we had to do this after, TFF received the Fair-Play award by FIFA!.. Sivasspor the Cinderella team of Turkish Tukcell Super League are on top of the Turkish standings all along by them self's after Trabzonspor could not cash in three points against Fenerbahce in Istanbul. On Saturday, Sivasspor beat Galatasaray at their own frozen turf and actually froze the fans of Galatasaray fans. On Sunday, Trabzonspor had many changes against Fenerbahce in Istanbul but, their forwards Umut Bulut, Gokhan Unal and Isaac Promise could not cash in and waisted many opportunities. Fenerbahce keeper Volkan Demirel and Trabzonspor keeper Tony Slyvia, mad some huge saves in this nil nil draw. This was the 100 nth match for Volkan Demirel under Fenerbahce Uniform. So, after winter brake, Turkish Tukcell Super League top team Sivasspor still on top and all by them self's now with 37 points. Here are the score from week 17nth , in the Turkish Turkcell Super League. Sivasspor moved three points clear at the top of the Turkish Turkcell Super League with an impressive victory over Galatasaray. Abdurrahman Dereli opened the scoring in the 51st minute for the Sivas club before substitute Sezer Badur wrapped up the victory 15 minutes later. but, if they lose in Istanbul ,against Fenerbahce , they will also say good - bye, to the top spot and second place with a win Fenerbahce, will capture the second place from Trabzomspor, while Galatasaray will be still on third. Besiktas closed to within a point of fifth-placed Fenerbahce after Roman Kratochvil's 28th-minute own goal proved enough for a 1-0 win over struggling Denizlispor. Besiktas held on despite having Tomas Zapotocny sent off 13 minutes from time. Besikras four points clear of Kayserispor in seventh after they were beaten 3-1 by Genclerbirligi. James Troisi was the hero for Genclerbirligi with a hat-trick (24, 56, 88). Mehmet Topuz briefly pulled Kayserispor level in the 56th minute but their miserable day was complete when Ali Turan was sent off (68). Gaziantepspor could not capitalise on Kayserispor's slip as they were held to a 1-1 draw by Eskisehirspor. Armand Deumi opened the scoring for the visitors on the stroke of half-time but Batuhan Karadeniz earned a point for Gaziantepspor with a 78th-minute equaliser. Finally, Antalyaspor climbed out of the relegation zone - and dropped Ankaragucu into the bottom three - with a 1-0 away win over their rivals. Sidney Tita netted the only goal of the game 16 minutes from time. On a last note ....Mexican International player Antonia Denigris has left Ankaraspor teams before the match on Friday. He whent on to say , "If we don't take care about the invaders from Brazil," Blatter controversially said at the draw for the 2010 World Cup. "Then at the next World Cups... we will have 16 [teams] full of Brazilian players. It's a danger, a real, real danger." Do you think you players should be able to adopt a new country and play for them? But two things have changed. The first is the globalized nature of the sport, which has allowed Brazil to sell arguably its greatest export -- talented footballers -- to every corner of the world. The second is the emerging power and wealth of smaller states willing to use their financial muscle to attract better players to their national team. FIFA has been extremely critical of countries that have handed passports--some after playing in their new country for less than two years-- to talented footballers. The problem FIFA has found is separating the naturalization of a player who has genuinely put down roots in their new country -- as with Eduardo who moved to Croatia when he was 15 -- and those whose allegiances are bought and sold in a rudimentary international transfer system. One country that has stretched the rules to breaking point is Qatar, who has used its vast gas wealth to attract and naturalize a host of players from Uruguay and Brazil. The Qatari FA even offered to pay Brazilian striker Ailton, then the top scorer in the German Bundesliga, $1million to come and play for Qatar in 2004, even though he had never set foot in the country. The move led to FIFA introducing emergency legislation banning naturalizations from taking place if there was no connection between the player and their prospective country. FIFA has tried to tighten up the rules. Last May FIFA agreed a rule change which stated that a player must live in their new country for five years before they can play for the national team. But for a country the size of Qatar, which has a population of fewer than one million, there are few other options. "The only way Qatar or Bahrain are ever going to be competitive is to import players and naturalize them," explains Jesse Fink, an Australian writer on Asian football and author of "15 Days in June: How Australia Became a Football Nation." Yet ultimately Qatar's experiment in footballing naturalization looks to have paid off. They currently sit third in their Asian World Cup qualifying group and are on course for a play-off spot for South Africa 2010 thanks, in no small part, to the goals of their Uruguayan-born striker Sebastian Soria. If they qualify they will be the smallest country to ever make it to the finals. Even more established footballing nations -- like Spain with Marcos Senna and Turkey with Mehmet Aurelio -- have looked at naturalization to fill problem positions in their team. While English-born John Wilkinson swapped the vagaries of lower league football in the UK for Singapore after being released by non-league Exeter City. Five years later he married his Singaporean girlfriend after some gentle persuasion from the national team coach and now anchors the team's midfield. "I didn't even know where Singapore was!" he told The UK's Guardian newspaper last year. Arsene Wenger suggested that his Spanish goalkeeper Manuel Almunia, who qualifies for a British passport after living in the UK for five years, is the answer to England's goalkeeping problems. So will Brazilian imports really takeover the international game? Many are skeptical. "Blatter is fearful that World Cups will be overrun with naturalized Brazilians and has proposed strict rules for naturalizing players, but these are just scare tactics," concludes Fink. "At the end of the day people want to see the majority of the players in their national team 'represent' them." FORTIS TURKISH CUP QUATER FINALS DRAW.. There will be two matches ,the first leg matches will be played on January 29th and second leg matches will play on February 4th,2009. The teams that cames out of these two matches as a winner will play in semi-finals of Fortis Cup matches. Turkcell Super League team Sivasspor have signed French striker Yannick Kanaman from Israel's Maccabi Tel Aviv. The 28-year-old French striker underwent medical check-up in Istanbul on Thursday. He will sign a two-and-a-half year contract with Sivasspor, club officials said. Sivasspor coach Bulent Uygun said his club had been following Kanaman for a while. "He is a good player. He scored over ten goals last season. I hope he adapts to my team easily," Uygun said. According to reports from England, Geremi deal almost done for Besiktas. Newcastle boss Joe Kinnear confermed the move was likely for the 30-year old Cameroonian. “He is talking to Besiktas at the moment. He is speaking to us at the same time, but I think he is trying to sort out some sort of contract there,” he said. "Last night, we thought the deal would have been completed, but it has dragged on a little bit and we are waiting to see what happens." Besiktas will pay £1.5 million to Geremi. The last six months have been as good as any to date for striker Milan Baros. Since switching to Istanbul giants Galatasaray in the summer of 2008, the Czech marksman has convincingly recaptured the form that once brought him goals galore for club and country. The 27-year-old started his career with Banik, an illustrious club in the east of the Czech Republic, earning a regular place in the team at the age of just 18 and scoring 23 goals in 76 appearances. After netting twice in his first two games at full international level, a host of major European clubs set out in pursuit of his signature. Baros sealed a first move abroad when he signed for Premier League outfit Liverpool in the summer of 2001. After a delay obtaining a work permit, he finally joined the team then coached by Gerard Houllier in December of that year. However, his first season with the Reds was a disappointment. Restrictions on the number of non-EU foreigners and the fierce competition provided by Michael Owen, Robbie Fowler, Nicolas Anelka and Emile Heskey meant the Czech starlet was restricted to one brief run-out in the UEFA Champions League. The 1.84m goal-getter seized the initiative in pre-season ahead of the 2002/03 campaign, impressing with his fine form and starring role as the Czech U-21 side marched to European championship glory. Furthermore, Anelka and Fowler’s departure from Liverpool opened the door at club level for the talented Baros. His maiden Premier League outing against Bolton Wanderers brought a match-winning brace in a 3-2 victory for the Reds. The striker would go on to score nine times in the course of the league campaign. I’ve had no problems settling here. I’ve scored 18 goals in all up to now, and I hope there’s more where those came from. Milan Baros on settling into Turkey. The player suffered a setback in 2003/04, sustaining a serious ankle injury in another meeting with Blackburn and missing almost half the season as a result. However, the Vigantice-born striker bounced back in even better form than before. 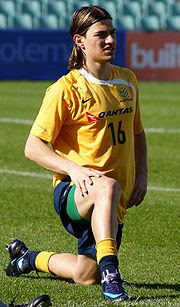 Baros oozed class for the Czech Republic at UEFA EURO 2004 in Portugal, firing his team into the semi-finals with the five goals that also made him the tournament’s leading scorer. Ignoring lucrative offers from Real Madrid and Barcelona, he returned to the fray with Liverpool, finishing the following season with another nine-goal haul and a Champions League winners’ medal for his efforts. Despite this, Baros never truly settled in Liverpool and switched to league rivals Aston Villa in 2005. He scored 13 goals in 46 appearances for the Birmingham club, before moving on in the 2006/07 January transfer window to Ligue 1 club Olympique Lyon, then coached by his former boss Houllier. However, the man who discovered Baros left the serial French champions at the end of the 2007 campaign, and the striker hardly featured in the sides sent out by Houllier’s successor Alain Perrin. A return to the Premier League with Portsmouth failed to reignite Baros’ career, and the Czech opted for pastures new last summer with a move to Turkey and the might of leading Istanbul club Galatasaray. Events have shown it was a step in exactly the right direction. The front-man has netted 14 goals in 14 league appearances to date, helping Gala to third spot in the table one match short of the halfway mark. Shortly before Christmas, Baros cemented his increasingly iconic status among the club’s passionate fans with a historic hat-trick in a city derby against bitter rivals Besiktas. He has also notched four goals in six UEFA Cup matches, a competition in which the Turks have reached the last 32 and now face French side Girondins Bordeaux. "I’ve had no problems settling here. I’ve scored 18 goals in all up to now, and I hope there’s more where those came from. We have a very good squad, which obviously makes it easier for me. I know we’re not among the favourites, but I believe we have the quality to win the UEFA Cup," Baros confidently declared recently. The Super Lig’s winter break ends on 25 January. The restart sees Baros and his team-mates travel to leaders Sivasspor, but if the Czech hitman can maintain his hot streak in the winter chill, there could soon be a change at the top of the standings. TURKEY IN TOP TEN OF THE FIFA RANKINGS!. European champion Spain stayed top of the latest FIFA rankings published Wednesday after there was almost no movement among the leading nations. Twenty of the top 25 places were unchanged after just 47 international matches since last month's rankings were issued. Spain stayed well clear of second-place Germany, the team it beat in the European Championship final, with the Netherlands, Italy and Brazil next. Argentina, England, Russia and Turkey completed the top 10. Egypt and Nigeria were the only risers in the top 25, moving up one and two spots respectively to 15th and 17th. Those moves pushed Ukraine, Paraguay and Israel down a spot. The United States continued to lead the CONCACAF nations at No. 22. 1. Spain (1), 1,663 points. (tie) Czech Republic (9), 1,007. 22. United States (22), 853. 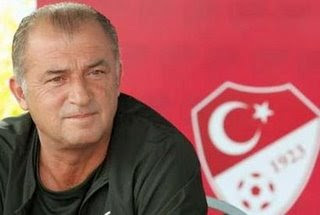 FATIH TERIM THIRD BEST IN THE WORLD!.. While Spain's European Championship winning coach Luis Aragonés has been selected as the best coach of 2008 by the International Federation of Football History and Statistics Fatih Terim Turkish National team coach was third on the list. The voting was carried out by 87 experts from across the world and Aragonés finished 107 points ahead of second placed Guus Hiddink, who worked wonders with Russia throughout the year. Below the top two there is a drop down to the chasing pack, where Turkish coach Fatih Terim is in third, Argentina's Olympic Gold winning coach Sergio Batista is in fourth, and Germany's Joachim Low is in fifth. The Turkish Football(Soccer) Federation (TFF) has received the FIFA Fair Play Award for 2008 in a ceremony held in Zurich, Switzerland on Monday. The President of TFF, Mahmut Ozgener, received the FIFA Award from UEFA President and FIFA Executive Committee member Michel Platini and UEFA First Vice-President and FIFA Executive Committee member Senes Erzik. 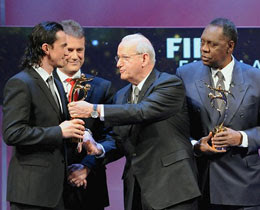 The FIFA Fair Play Award for 2008 was shared by the Football Associations of Turkey and Armenia. FIFA presented the Award to Turkey and Armenia based on a World Cup qualifier game played in Yerevan on September 6, 2008 that was attended by the presidents of Turkey and Armenia, two countries that do not have any form of diplomatic relationship. According to Skysports.com Newcastle midfielder he could be ready to leave St James' Park to go to Besiktas. The former Real Madrid, Chelsea and Middlesbrough man has not started a match under Magpies boss Joe Kinnear since the 2-2 home draw with Stoke City on 6th December. Geremi, who is under contract until summer 2010 and captained the club for a stint at the start of the 2007/08 campaign, has made just 12 appearances all season. Geremi, 30, told skysports.com: "I want to be involved on the football field. I am nearing the end of my career and I don't want to sit on the bench. "I heard there is a bid for me from a club in Europe but I am waiting to decide what to do. Gereme, has been linked with Turkish giants Besiktas or a January switch to France. Three games and three wins for Besiktas in the Fortis Cup after they beat lower division team Gaziantep Municipality team 3-1 in Istanbul. On the other hand the team share the first place in the Turkcell Super league Trabzonspor earned only 1 point in three matches and they said good-bye to Fortis Turkish Cup. On Wednesday, there are four matches in the Fortis Turkish Cup. Former Besiktas coach Ertugrul Saglam who signed with Bursaspor at the winter brake will face Fenerbahce team in Istanbul. Bursaspor who leads the Group D, with 6 points Fenerbahce who has three points is in second place in this group.This will be third match for Bursaspor. while Fenerbahce will play their second match in the group. Lastly, on Thursday, in Group B, Galatasaray will travel to Izmir to play Altay in Izmir. Things are really mess in this group... There are three teams with 4 points (Galatasaray, Ankaraspor and Kayserispor) Altay, who only played one match so far have one point .They could well make it to four points if they win the match. The wedding ceremonies held in the Swiss Hotel in Istanbul. The prime minister Tayip Erdogan and Fenerbahce president Aziz Yildirim , Turkish national team coach Fatih Terim and Istanbul B.B. Soccer club's president Gokesel Gumusdag were the official marriage ceremony witnesses. Fenerbahce players and Fenerbahce coach Aragones were also in presence in the wedding party. Guardian newspaper senior sports writer Barney Ronay, included Fatih Terim in his "sporting heroes of 2008" article. "Stand-out coach of Euro 2008: not just a brooding genius capable of playing Germany off the park with seven fit players, a one-legged left-winger and the cat from the team hotel, Turkey's coach was also responsible for the return of the thrillingly macho, sweat-drenched manager. Terim buffed and scowled his way across Alpine central Europe providing not just great, testosterone-stinking touchline theater, but a lesson in smothering tactical acuity. Give that man a vacant Premier League hot-seat."